According to PRNigeria, Ibrahim, a middle-aged man and another accomplice who gave his name as Isiyah, said ten of them were involved in the abduction of the renowned Islamic scholar who supported and offered prayers at political rallies for the re-election bid of President Muhammadu Buhari in the build-up to the 2019 general elections. The notorious kidnapper revealed that he never met or physically saw one Alhaji Dogo Nalade who he claimed was their ringleader but said Nalade regularly communicate with them via phone from an undisclosed hideout. He said they were arrested while trying to flee their abduction’s den to Obajana town in Kogi State, in search of legitimate unskilled jobs after quitting their ‘heinous’ trade of kidnapping. The gang leader revealed that the weapons they used for operations were supplied by persons who asked them to use it for their ‘obnoxious profession’ and thereafter request for commissions. “However, a violent fight broke out between members of our gang. Two gang members were initially killed in the forest by some of our colleagues. Though, the two of us that were arrested luckily fled the forest to avoid been killed, seven other kidnappers among us were shot and killed by our aggrieved members,” he added. 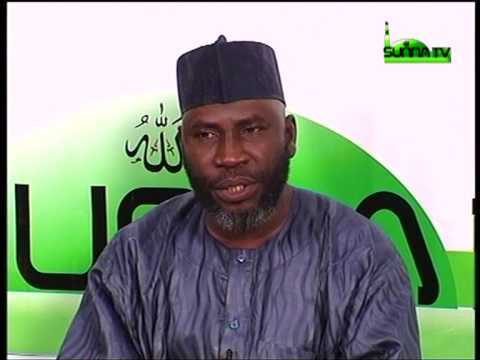 Sheikh Sulaiman and others regained freedom from their abductors on March 27, 2019, after spending about two weeks in the kidnappers’ den.